There's a new boss over at Brighton-based game developer The Chinese Room. 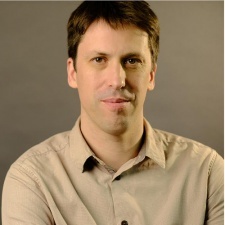 Ed Daly (pictured) has joined the studio as studio director with 20 years of industry experience having spent some time working on interactive tech in theme parks such as Legoland and Disney. This follows The Chinese Room being acquired by Sheffield-based Sumo Digital. Before that, the studio had gone dark with staff laid off following financial troubles. "I'm really pleased that Ed is going to be joining The Chinese Room," creative director Dan Pinchbeck said. "He brings a wealth of experience in steering studios through the complexities of development and growth, and that's going to be hugely important as we evolve the studio. Having him on board as we continue building the team and settle into production of our new project is critical to our ambitions for The Chinese Room - it's going to be a hugely exciting few years!" Daly added: ”When I heard about the astonishing games Dan is going to make, together with the support and ambition of Sumo, it was clear that this was something I really wanted to be part of. I couldn’t be more thrilled to be building a team to create new The Chinese Room games." It's almost twelve months since Sumo Digital led the UK games IPO rush in December of last year.